Methanex is the largest producer and supplier of methanol in the world. Methanex has production sites in Canada, Chile, Egypt, New Zealand, Trinidad and Tobago and the US. The company also owns an extensive global supply chain and distribution network of terminals and storage facilities throughout Asia Pacific, North America, Europe and South America. It derives majority of its revenues in US dollars. 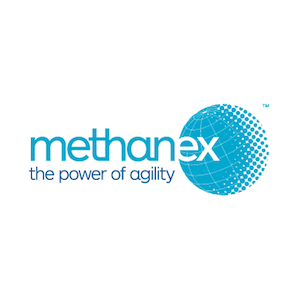 Methanex operates through a huge network of 6 production facilities (with annual production capacity of 9.4 million tonnes), 11 global offices, and 17 distribution terminals and storage facilities. The company serves its global customer base with the help of world’s largest fleet of methanol ocean tankers, barge, rail, truck and pipeline. Methanol is an essential ingredient in the production of various industrial and consumer items of everyday use. It is also used as a clean-burning, alternative fuel. According to the IHS Chemical supply and demand update, the demand for methanol is projected to grow at 5% CAGR over the next four years. Methanol production at Methanex has more than doubled in 2017 compared to 2010. The company has been benefiting from strong sales volume and higher average realized price and projects both prices and production level to be higher in the future. Volume growth will also be supported by the recent restart and refurbishment of its Chile plants. The company has been investing to grow its production capacity over the last several years. As a result, Methanex has improved its earnings and ability to generate significant cash flow at a wide range of methanol prices. The company’s planned maintenance capital program is estimated to be ~$175 million in 2019. Methanol is predominantly produced from natural gas and coal and Methanex has access to low cost natural gas feedstock. It enters into long-term natural gas contracts, including variable price component that is linked to methanol price. This helps the company stay competitive even at low methanol prices. The company’s top line should benefit from rising prices of methanol. The latest average realized methanol price crossed the $400 per tonne mark, as compared to $337 per tonne in 2017 and $242 in 2016. On an average the ARP has stood at $345 per tonne. In the last 25 years of existence, Methanex has developed strong relations with customers in international markets where it majorly supplies methanol. The company is trusted by large, global chemical and China MTO companies. Strategically positioned production sites and an extensive global supply chain enables Methanex to reach customers worldwide, in a cost-effective manner. Methanex has a concentrated customer base with the top 20 consumers accounting for 30% of global demand. Methanex has a solid track record of returning excess cash to shareholders. It has raised dividend seven times over the past 10 years and has never decreased or missed paying a dividend. With a dividend yield of 2.5% and a payout ratio of 30%, the company is paying a quarterly dividend of $0.33 per share which comes to a total of $1.32 per share annually. Methanex has compounded its dividend growth by 10% over the last five years. The company has returned close to $1 billion to shareholders through dividends and share repurchases and has repurchased nearly 14% of shares since 2013. The last dividend raise was 10% and a new 10% share repurchase program was also renewed in 2018. Methanex deals with methanol which is a clear liquid commodity chemical and is prone to commodity price fluctuations. The company’s low cost structure and large scale of operations are advantages in this regard. Methanex operates in a highly capital intensive industry. There are huge barriers to entry in the form of ownership of large production and storage sites, terminals and pipelines network. A large geographic presence, extensive assets and strategically located facilities are its key advantages. Methanex should be able to leverage its leadership in the industry to benefit from healthy demand growth forecasts, led by China and energy applications. Almost 57% of methanol is used in China. Methanex has big competitive advantages as it holds a market share of 14%, which is almost double than that of its closest competition. Given below is a chart which shows some of Methanex’ competitors and their estimated market shares. As a major supplier of methanol with a well-established global market presence and production base, Methanex is well positioned to capitalize from growing industry demand. Demand for methanol from energy related applications should further drive growth. A good history of dividend payments, decent payout ratio indicates future dividend growth potential in the high single digit range. The Chinese demand for methanol can make Methanex an attractive opportunity for continued growth.